Select the sub category that interests you. 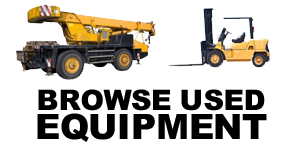 You will be presented with any second hand equipment relevant to that category that we have available. Otherwise you can contact us in order to request the equipment and we will scout for it. Our Used Equipment is presented in alphabetical order. Browse through the different categories by clicking on the silhouette or the name of the category you are interested in.